You can start a home catering business fast. For years I’ve helped vendors get started in vending but for the last three years I’ve been helping many expand into catering or even start off there. The short answer is that there is LESS red tape. This means you can start faster and start making money quickly. Some states make it so easy that you can simply get a normal business license (less than 30 minutes) and start catering the same day. and doesn’t have to be some schmancy, fancy 40 foot trailer with tables, chairs, fine china, shiny silverware and a staff of ten. In fact, most of us caterers do a drop off home catering business which is essentially where you deliver the food, drop it off and leave. 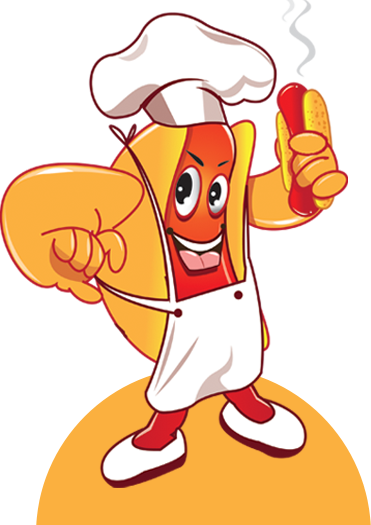 Many “hot dog vendors” have been moving into the home catering business with their mobile kitchens “hot dog carts. Anyone with a desire to cook, bake or grill and loves serving others can start catering from home. This can mean more competition and it’s why you must set yourself apart from the masses and why we’ve had so much success with catering. There simply isn’t a better way to set yourself apart from the many home catering entrepreneurs than to offer the incredible and deliver it like no one else. Most catering companies are delivering the basics or they are a restaurant who “caters” but only delivery what they already sell. They bring you some chafers heated by tea light type candles or oil cans and are no different than all the rest. Not us, we are NOT the “typical” caterers. 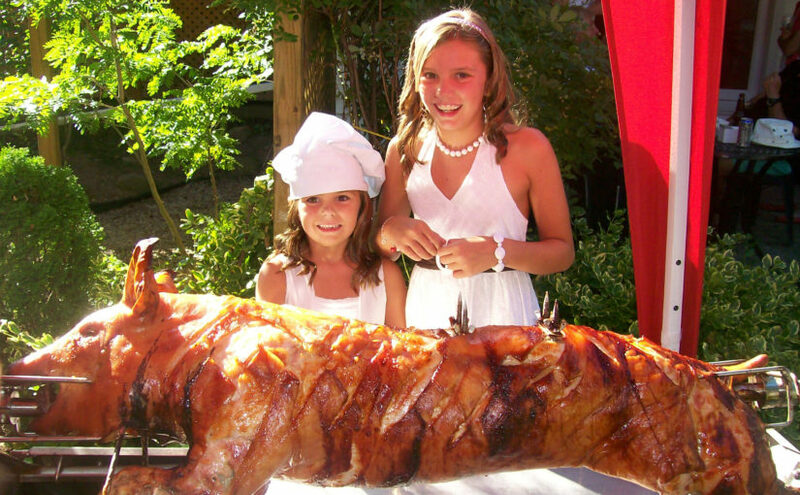 With the Pig Roaster Pro home catering business you can do drop off catering, buffet catering, rental catering and everything else in between. And the list goes on and on. With 4 full size restaurant steam pans, you can use it as a buffet service too. 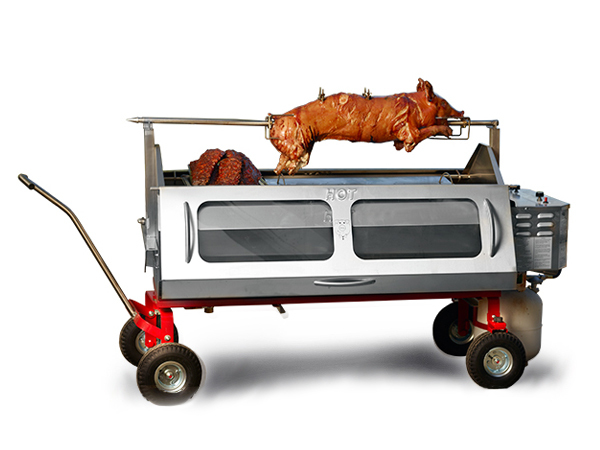 By far, the Pig Roaster Pro® is the ultimate, mobile roasting, barbecuing, smoking, grilling and baking machine. Take it to a beach wedding, out to the lake reunion or in the mountains for the church shindig. 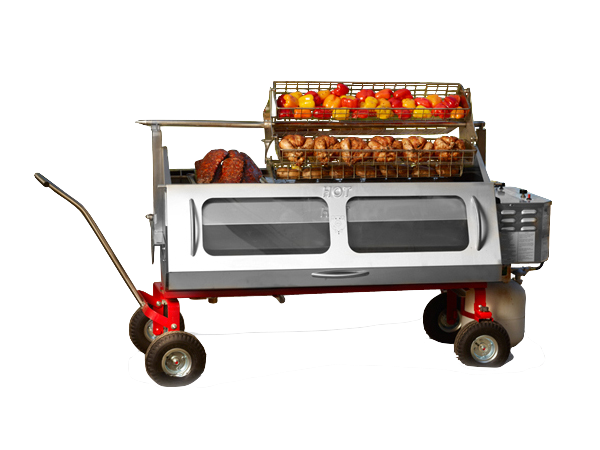 For the money, nothing can compare to the Pig Roaster Pro® for home catering business owners.